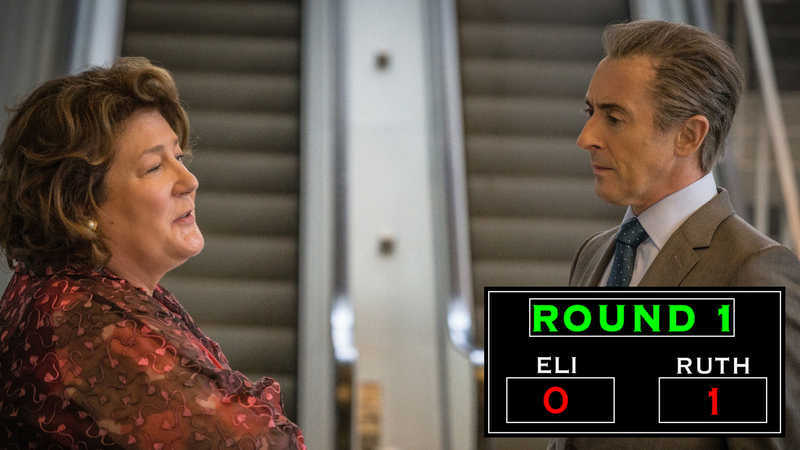 Why: She not only took Eli's job—she and Peter played it to look like it was Eli's idea. After chasing down Ruth Eastman and begging her to consider meeting with Peter Florrick to discuss representing him for the upcoming presidential election, Eli Gold returned to Peter's office only to discover that she was already there. Turns out, Florrick had spoken to her before and, upon Gold's return, told his longtime advisor that Eastman was taking the reigns. After supporting Peter through years of scandals and encouraging him to run in the first place, Gold quit on the spot.